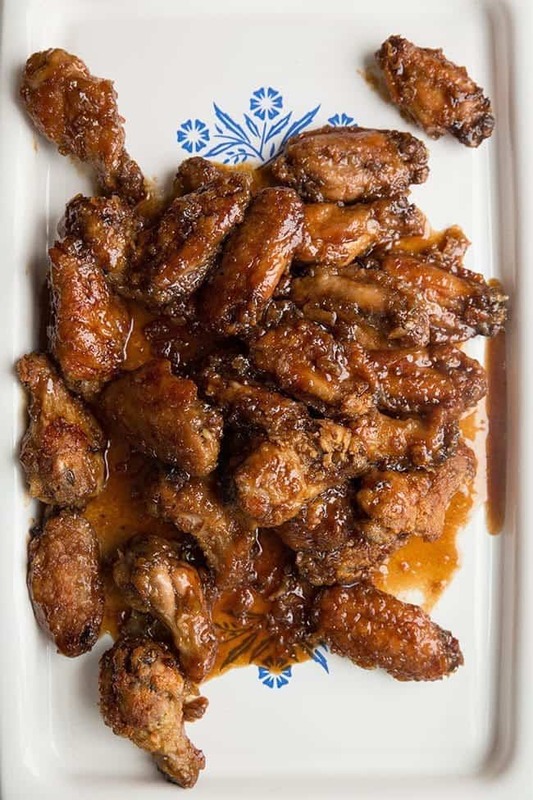 These wings – while known to most people as the Japanese Chicken Wings from the Best of Bridge series- are known in our house as Uncle Bob’s Japanese Chicken Wings. 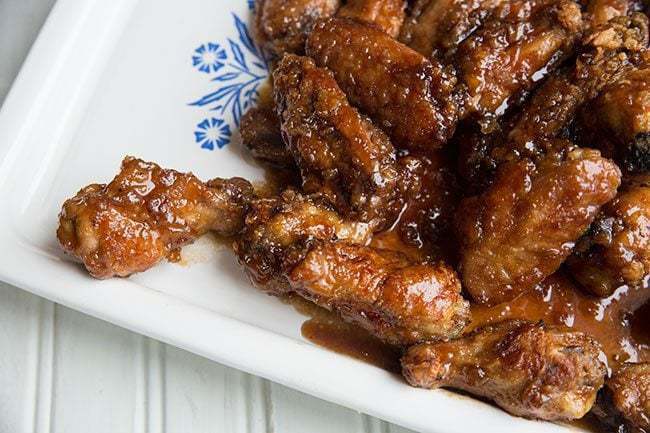 Uncle Bob introduced my mother to these decades ago and in typical Uncle Bob style he found a way to make the Japanese chicken wings taste even better. 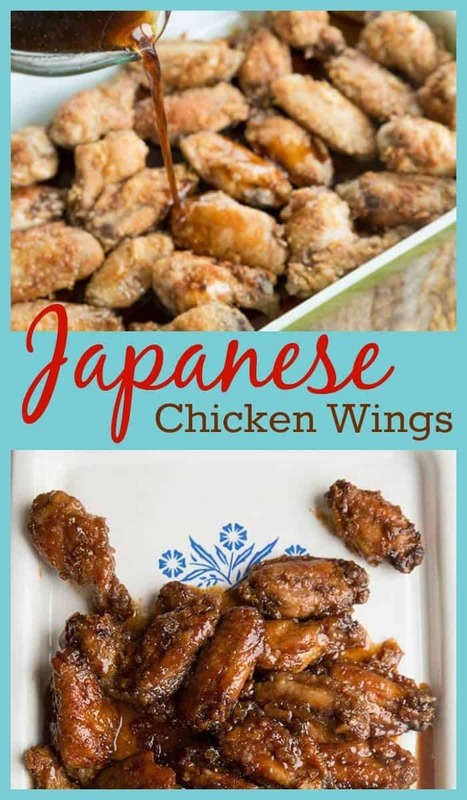 The way that we make Japanese chicken wings has a unique flavour addition. That’s right, we add garlic powder into our wings. Big surprise, the Ukrainian’s get their hands on Japanese chicken wings and we throw garlic into the mix. While the original recipe is definitely a good recipe, the addition of garlic makes these a showstopper. (especially if you breathe on someone after eating them…..). In all seriousness, if you have been making the Japanese chicken wings recipe from Best of Bridge all of these years, your chicken wing life is going to be changed for the better with the addition of the garlic. Uncle Bob knows where it’s at. The man can cook. 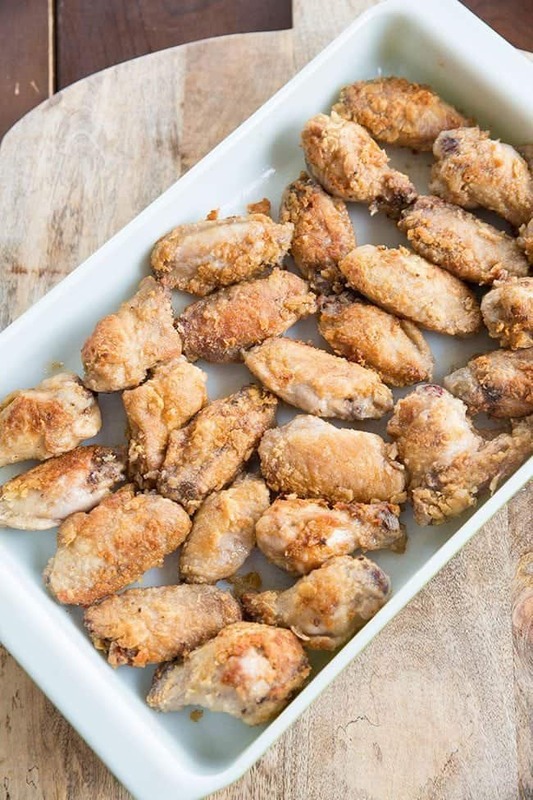 The addition of a little bit of oil to the butter brings up the smoking point so that you aren’t dealing with that burnt butter taste on your wings, and get a deep, golden crust happening on the wings. That’s the best part after all. 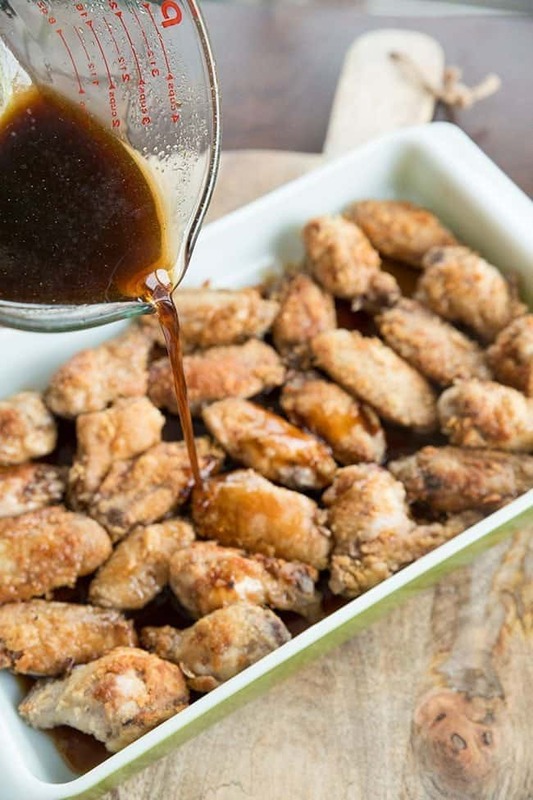 They are also incredible easy to make ; you batter and fry the wings, then pour a sauce all over them. Bake, serve, then eat = retro perfection! 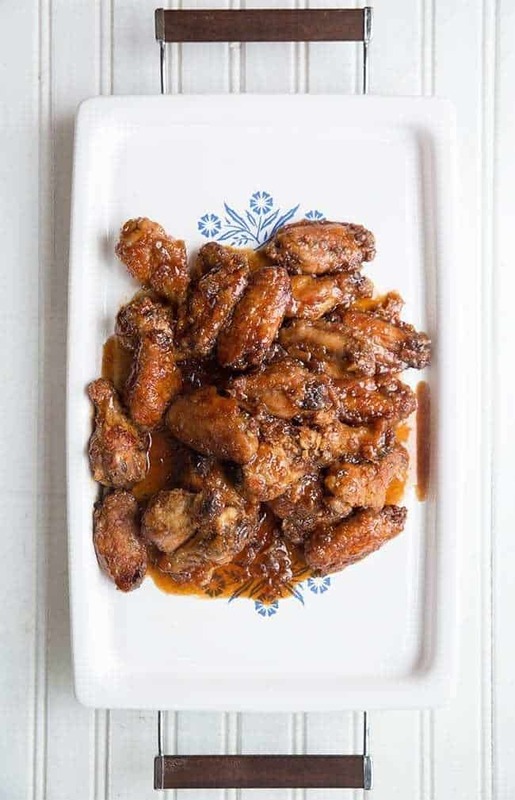 Everyone that you serve these wings to – if they grew up in the 1980’s in Canada- will know the taste of this classic recipe. These wings should be on your Must-Make list for every get together, they are so easy and seriously delicious. I’d cook these babies up and put them in a crockpot on low for the evening with a pair of tongs for my guests to help themselves. Just looking at these photos made me drool. Whisk together the flour, pepper and garlic powder. Dip the chicken wing pieces into the egg, then into the flour. 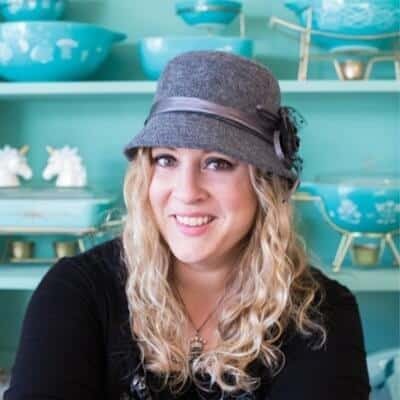 Heat the butter and oil in a large, deep skillet over medium-high heat. Fry the wings until golden brown and crisp. Place into a large roasting pan in one layer. In a small bowl combine the soy sauce, water, sugar, vinegar, garlic powder and salt. Pour over the wings. I use this same recipe, but with boneless chicken legs. Batter and lightly fry the chicken, then put in the oven at 350 for about 40 minutes. Delish! Is there any way to make these a day ahead? Thanks! These were awesome! My kids loved them and I will definitely make them again in the near future. It pretty much is, Uncle Bob likes to tinker tho..the garlic makes them WAY better than the original!! SO good!